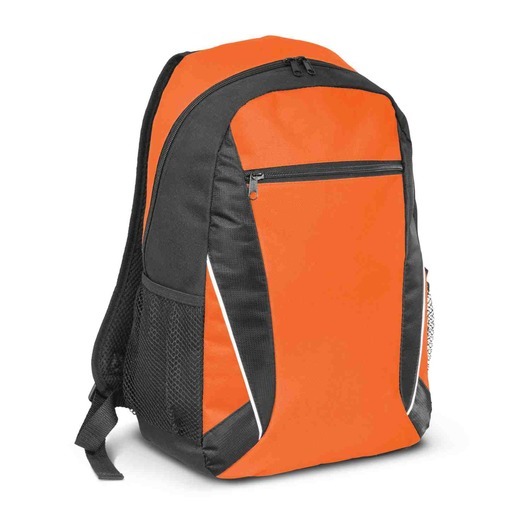 One of our best selling backpacks, available in a great range of bright colours! 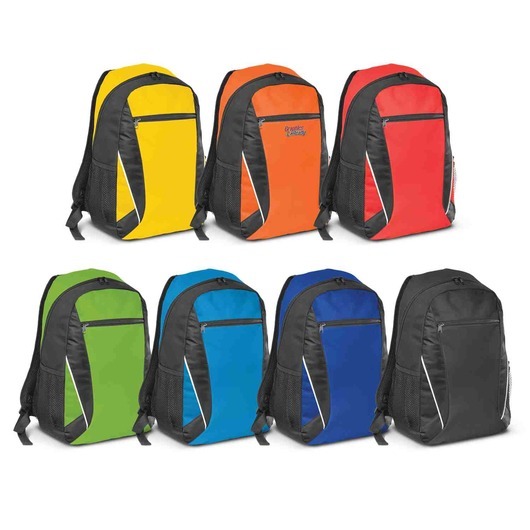 Suitable for nearly all situations, these colourful, versatile 600D polyester backpacks are an excellent backpack to effectively market your branding. They feature a large single compartment with contrasting white piping in a variety of bright colours. Other features include: a padded back, padded woven shoulder straps that are also adjustable, a zippered front pocket and 2 mesh side pockets for water bottles and other small items.